First impressions mean a lot in any business. At Einstein Medical Center Montgomery, it is the soaring Atrium Lobby that first impresses all those who come through the doors seeking care. The gateway to advanced and responsive care that is the trademark of Einstein, the beauty of the atrium and its overlooking balcony is representative of how Einstein worked to create a facility blending a long and distinguished history with high-quality, leading-edge medicine. It is representative of how Einstein worked to bring the very best to the residents of central Montgomery County. Einstein has a rich history of multi-generational families who have contributed to its past successes and continue to play a prominent role in its vision for the future. The Berk family is no exception. 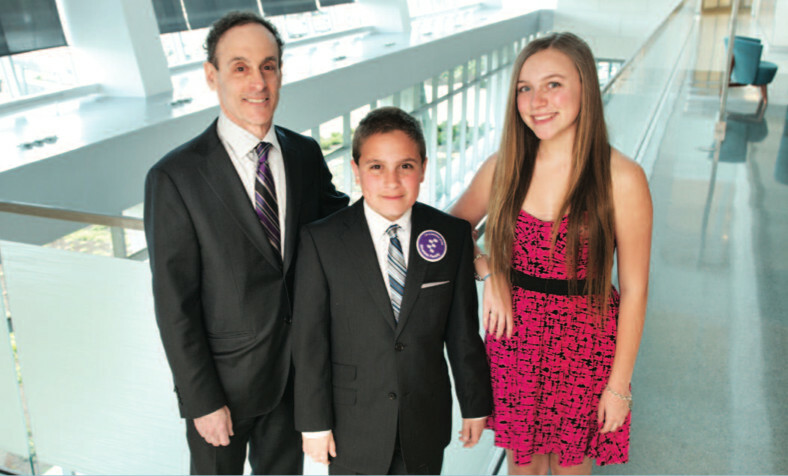 Families, like the Berks, are the strong foundation on which Einstein has built its healthcare tradition. Steven Berk currently serves as Chairperson of the Board of Trustees for Einstein Healthcare Network, continuing his more than 40-year involvement with Einstein that began with Belmont Behavioral Health. Steve’s grandfather was one of the original founders of Belmont, and his parents, Gabriel and Phyllis, nurtured that commitment. Steve’s children, Lacey, 15, and Aidan, 13 are now the keepers of the family legacy and they are taking their responsibilities very seriously. Both spent a lot of time with Steve, on site, during construction of Einstein Montgomery. Aidan further demonstrated the Berk Family commitment by choosing to raise money in support of Einstein Montgomery’s Walk Through the Park as his Bar Mitzvah project. Walk Through the Park funds benefit the Cancer Program at Einstein Montgomery and Aidan worked to involve family and friends in this fundraising effort continuing the family tradition of giving support to others in need. All this involvement has led to a fitting tribute. 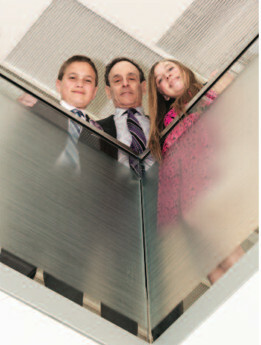 Through Steve’s generosity, the balcony on the first floor of Einstein Montgomery was recently named as the Berk Family Balcony in honor of both Lacey and Aidan. Learn about the many ways you can help support the mission of Einstein Healthcare Network.